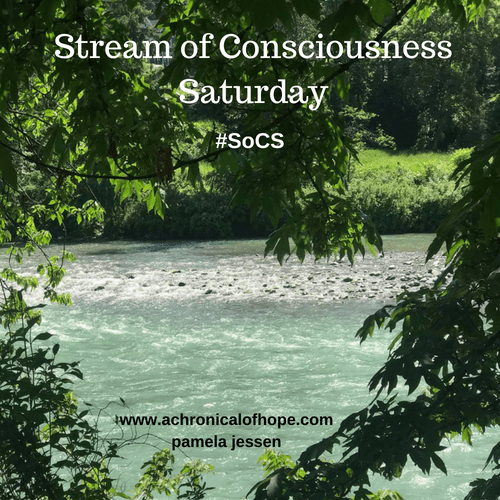 SoCS – but it’s traffic. going in a circle. what the hell’s a “roundabout”? I’ve been all snooty with my DMV course – hey, look at me, I’ve got all the road knowledge. So imagine my surprise upon googling today to find that roundabouts and traffic circles aren’t the same thing. What? You knew that? Well, aren’t you the smartypants. Carry on. So yes, I googled for my stream of consciousness post. While I’m not exactly sure if that’s against the rules I wanted to check myself before putting this statement out there: “I never heard these things were called roundabouts until I moved up north/down south.” You see, I couldn’t remember which way it went and figured the very least I could do was get the geography right. Thus the googling. And a voice rang out from the heavens above – WRONG! WRONG, WRONG, WRONG. ROUNDABOUTS DON’T HAVE A THING TO DO WITH BEING ABOVE OR BELOW THE MASON DIXON LINE, YOU NINNY. Just kidding. God didn’t care much about this roundabout google (I don’t think), and He certainly didn’t call me a ninny. Live and learn, right? So I’m sure some of you are all well, aren’t you gonna share your newfound knowledge, Laura? Come on, of course I am. I’d assumed (and you know what they say about assuming) that since those intersections are essentially circles with entrances and exits and a design that’s just as likely to trap you on the inner loop as encourage the free flow of traffic – well, “roundabout” and “traffic circle” both seemed to describe that setup pretty well. And I wholeheartedly assert that there is a regional difference in what they’re called, I just can’t remember which is what. But, as promised, here’s the actual difference between the two (compliments of wikipedia). Well, they say knowledge gained is…knowledge gained…so I guess this’ll sit in my brain. Pretty sure I’ll keep calling the dang things traffic circles, though, basically for two reasons. 1) It’s designed for traffic to go in a circle, and 2) “roundabout” makes me feel like a southern belle in an old movie. Jimmy’s coming ’round about seven so’s we can sip some lemonade on the porch. Previous Previous post: I see a system that doesn’t understand how White brains in America are biased against people of color. Whether they are roundabouts or traffic circles, I do not like them. Yes, I’ve heard they are safer than intersections, but I think on a big one like the one at the Arc de Triomphe must be could keep me going in circles for the rest of my life. Me, too. I can’t imagine what could EVER entice me to drive into a traffic circle (or roundabout?) like that one. Sheesh! I feel like you should know I hate roundabouts. Our city is designed around a circle, Monument Circle, hence The Circle City, and while I navigate that traffic circle just fine, probably because people drive about 10 mph around it, the roundabouts around the city overall cause me great anxiety and I HATE THEM. I don’t use the term traffic circle very often, and honest to goodness, even though I’ve driven in Monument Circle more times than I could say, I don’t think it has lights… I don’t think it does. I will not say traffic circle casually, without serious consideration anymore. Mmhm, good post. Much inform. People do seem to have strong opinions about them. Love or hate, there’s no in between. I call them traffic circles regardless of what I’m supposed to. “Roundabout” sounds British. It does! I even hear it in a British accent in my head. Roundabouts are da bomb! They move much more traffic and are a lot safer than signalized intersections. Well established all over Europe, they make driving so much easier (and quicker). Tim’s right about the Arc de Triomphe — 12 different streets converging at once. Try doing that with a traffic signal! Try it in Boston. Just try it, I dare ya. Whatever you call them they will traumatize you for the rest of your life. Oh no. No way. I lived in the Boston area my senior year & have been traumatized enough by that traffic! I can count on one hand how many times I drove in the city – shudder. Roundabouts are common up here, but they’re being used to slow traffic down, not make it easier to drive. They are also adding “speed humps.” If you’re really curious, look up the difference between a “speed hump” and a “speed bump” – if you do that, Google and Wikipedia might send some folks to visit you. I hope you have a great long weekend. Merge safely and may the right-of-way you deserve be granted – that doesn’t happen often up here. Ah lemonade! While the last of summer is here, sitting on a porch sipping lemonade sounds nice. We have two roundabouts here that I am aware of any way. Not common at all. When I travel to Phoenix AZ for business, I hate driving because roundabouts are everywhere. Such a pain. Feels like a game of dodging cars to get where you’re going. Yes! And there are always locals who get furious with the poor confused visitors who just want to get off the darn thing! I don’t care what you call them, they can be damn confusing. Talk about “driving around in circles “!!! Yowzer! Huh, I thought they were the same thing. Always learning something new. 😄 I read this with interest because we also call them traffic circles here (South Africa) and I always thought of a roundabout as “an Americanism”. The South African English language tends to lean towards UK English, but with the influence of American movies and television series, we do get a bit confused sometimes. Ah! Well, I was quite surprised to learn it’s a physical difference and not just linguistics. Gotta love google. Thanks for reading! Cool. There’s my new fact for the day. The arc de triomphe is the king of roundabouts… I think you could live and die there while trying to find your exit. Truth. They should set up refueling islands in there.